Dell Inc., owner of Hopkinton-based EMC Corp., says if it can’t change lawmakers’ minds on tax reform, it may need to cut jobs and raise prices. If corporate America is a big winner in the Republican drive to cut taxes, why are some of Massachusetts’ biggest industries not happy with the bills that have passed the House and Senate? Both proposals would sharply reduce the corporate tax rate, in hopes that companies would use the savings to create jobs and expand. But the GOP’s approach comes with trade-offs, such as eliminating certain tax credits and deductions, which would drive up tax bills for some companies. That is likely to set off heavy lobbying by business interests as the House and Senate bills head to a conference committee this week so the differences can be worked out. Take, for example, the potential impact on the state’s home-grown biotech companies. The House version abolishes a long-cherished tax credit that allows biopharma companies to recoup some of the cost of developing drugs for rare diseases, while the Senate bill appears to slash the credit in half. Tom Hopcroft, chief executive of the Mass Technology Leadership Council, said he does not believe the proposals would do much to address the key concern of his industry: finding enough qualified people to hire. Changes such as a tax on tuition waivers for graduate students and the end of deductions for student-loan interest would make it harder to find people with the right training, he said. Dell Inc., the computer maker that last year bought EMC Corp., of Hopkinton, would be hit with hundreds of millions of dollars more in tax payments annually, said Tom Vallone, who oversees the company’s global tax issues. Much of that increase would be because Congress is proposing to curb the ability of companies to deduct interest expenses on debt. 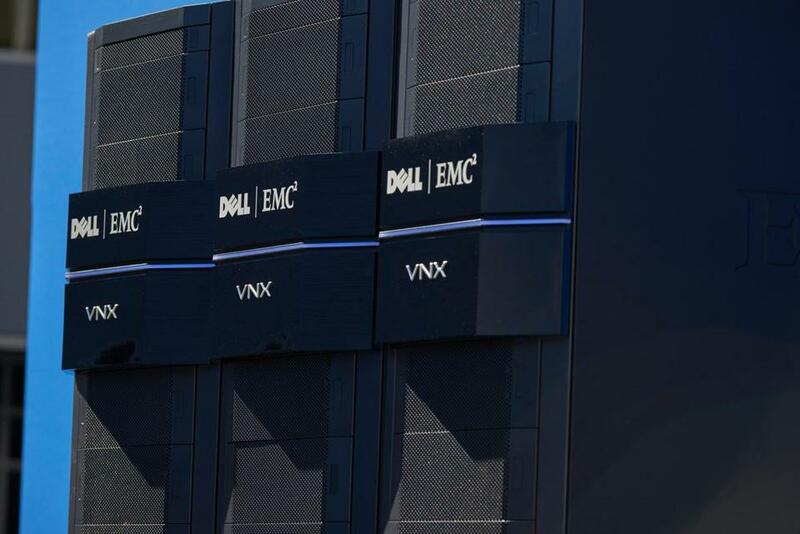 When Dell bought EMC, the privately held Texas company borrowed about $50 billion, and the interest expense deductibility was assumed when evaluating the economics of the deal. “It wouldn’t be fair to change the rules midstream,” Vallone said. He added that the company would like to see existing debt grandfathered in, even if that means raising the proposed corporate tax rate. The current rate is 35 percent, and Congress is proposing to lower it to 20 percent. Vallone said Dell would support a rate of 23 to 25 percent. If Dell can’t change lawmakers’ minds, Vallone said, the company may need to cut jobs and raise prices. Real estate agents have also lined up against the tax bills, concerned about changes to deductions for home-mortgage interest and property taxes that they say would hit hard in pricey markets, including Greater Boston. The House version caps the size of mortgages eligible for the interest deduction at $500,000, while the Senate would keep the current cap of $1 million. Both would set a $10,000 cap on deductions for local property taxes. More than 5,000 Massachusetts real estate agents have e-mailed their representatives to oppose those changes, according to the Massachusetts Association of Realtors, and more outreach is planned in the coming days as the final bill gets hashed out, said the group’s president, Paul Yorkis. But Yorkis said it’s about more than just the loss of long-treasured homeowner tax breaks. The veteran agent from Medway said he’s worried about the bill’s impact on the budgets of many Boston-area towns, which depend on property taxes for much of their revenue, and what that might mean for schools, public safety, libraries, and other programs that boost the region’s quality of life. Cities and towns will have a more difficult time increasing property taxes if residents no longer can offset the increase by claiming a larger tax break. Commercial real estate developers have a more mixed view. The legislation preserves many tax breaks that are commonly used by real estate investors and offers a reduction in tax rates for the kind of business structures that developers often set up, said David Begelfer, who runs the commercial real estate trade group NAIOP Massachusetts. “In general, as an industry, that looks really good for us,” he said. And he warns about a side effect of the lower corporate rate: It could become harder to finance much-needed affordable housing. Most affordable developments in Massachusetts are funded through low-income housing tax credits, which nonprofit developers often sell to large companies that are looking to lower their tax bills. If those tax bills are lower, companies won’t pay as much for the credits, which means less cash to pay for housing. Among health care executives, the Senate bill is worrisome because it proposes to eliminate the individual mandate to obtain health insurance, which could unravel some of the coverage gains made under the Affordable Care Act and lay the groundwork for a broader repeal. Massachusetts requires its residents to buy health insurance, so that provision would have less of an impact here, but the undoing of the ACA could ultimately hurt the state because it depends on federal funding to make insurance affordable for those with low incomes. Getting rid of the mandate is enough of a concern that Blue Cross Blue Shield of Massachusetts put out a statement Friday urging the Senate to reconsider as the bill headed for a vote. In an interview Sunday, Blue Cross CEO Andrew Dreyfus said the insurer will continue to lobby Congress to keep the mandate and to pass legislation to stabilize the insurance market if the mandate is eliminated. “This is a repeal without a replace,” Dreyfus said of the Senate tax bill. Hospital leaders are also concerned about a House provision that eliminates tax exemptions for certain bonds, which would make it more expensive for nonprofit hospitals to borrow money. Among the bills’ supporters is General Electric Co. The overhaul would move the United States closer to a so-called territorial system, in which businesses would pay US taxes only on profits they earn here in America. That’s different from the current system, in which companies are also liable for taxes on overseas profits. Congress is proposing to dramatically lower taxes not only on corporations, but also for business owners, big and small, who record their profits as personal income. John Fish, the chief executive of Suffolk Construction in Boston, said the prospect of lower taxes will allow him to make capital investments and hire more people. “We will be more competitive,” Fish said. “This is going to give us more flexibility nationally. Michael Tamasi, the owner of AccuRounds, a metal-parts manufacturer in Avon, said that if the goal of the tax plan is to help the middle class, it can when companies like his use the tax savings to train existing workers. Jonathan Saltzman, Tim Logan, Priyanka Dayal McCluskey, Andy Rosen, and Evan Horowitz of the Globe staff contributed to this story. Shirley Leung can be reached at shirley.leung@globe.com. Follow her on Twitter @leung.